Hey guess what? 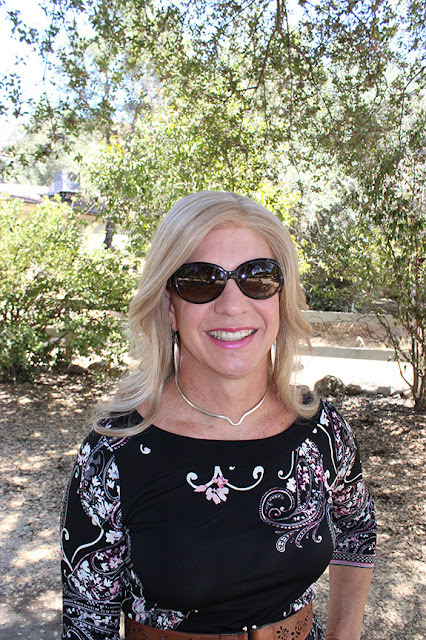 I recently found out that this little blog has been ranked #41 in the list of top 100 transgender blogs! WTF? That made me pretty happy. You can go here and see the list for yourself if you would like. It's interesting as well that this list is apparently updated weekly. I wonder how long I have been up on that list for. Hmm...... interesting indeed! This is a style blog and yes I am aware that I am transgender! I am a man who likes to dress in women's clothes. I like to call myself Nadine while dressed as a woman. On my blog I will be exploring women's clothes and men being able to wear them in a fashionable manner and other various topics that interest me. A blog about fashion, style, and being transgender! I like that SO much more! It is so much more fitting. I really dislike the way I originally described it, but it was how I felt at the time. I don't know if you have noticed, but over time I have changed the description under the page header as well to better reflect how I currently see myself. Oh and as well, I have sad, sad news..... I will no longer be writing for Already Pretty. Sally has decided that it is time to move on even further from blogging and has decided to not have any more contributors to her site. I find it quite saddening as I really liked writing for her blog as it gave an outlet to a transgender writer to a cis-gender audience. Ah well, it's time to move on and explore other options for my writing. I am super appreciative of anything of mine that Sally was willing to post on her site. Her audience was WAY more vast than mine. So... thanks Sally! Okie dokie - I hope you all are well. Sorry for the lack of updates recently. I was laughing at myself as my blog had more active posting while I was away in Alaska than since I have returned! Ah well.... Silly blogging me! A post of mixed news :-) Congratulations on the Top 100 award, and commiseration on Already Pretty. Hopefully you'll find a new outlet for your writing. Good luck.